Worldwide Soccer '98 is a game for soccer fans from around the world. England's own professional soccer commentators Gary Bloom and Jackie Carlton call all the action. And, to make the game truly global, you can play in multiple languages, including English, Spanish, German and French. 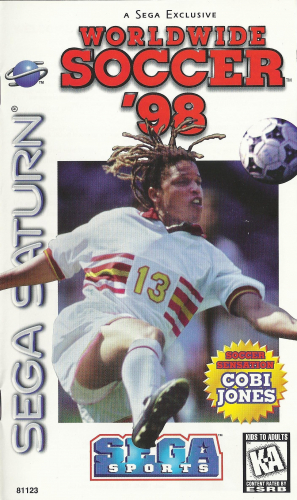 The Sega Saturn version, which allows up to four players, also includes unique gameplay in both the French and Spanish Premier leagues. Unique PC features include network play for up to four players and the "golden goal" feature, which allows players to save their best goals to their hard drives so they can upload them to the Internet for supreme worldwide bragging rights.